Is your life so comfortable on Earth that if I returned today you might ask if I could come back later? 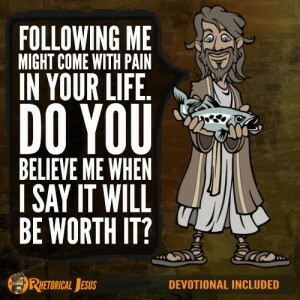 A few years ago I heard a man who claimed to be a believer almost loathe the idea that Christ could come at any moment. It was because he had just retired and wanted to enjoy his retirement for a time. That really puzzled me. What would be better: heaven or retirement on Earth? I think it’s no contest. Heaven must be off the charts compared to this world. 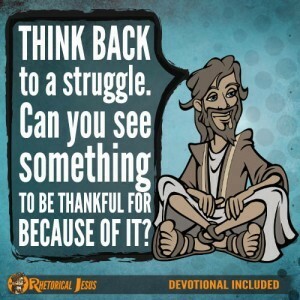 Solomon pursued everything his eyes lusted after and kept nothing back (Ecclesiastes 2:10), and he had the wealth to have anything he wanted–all, that is, except joy. Those who are engrossed in the things of the world may not realize it, but this world is passing away (1 Corinthians 7:31), and someday this will all burn up (1 Peter 3:10-12). Are we so comfortable with our life that, if given a choice, we might want Christ to delay His coming? I do a lot of writing on the Internet, but I don’t always make the best use of my time. Surfing the Internet is okay, but there’s always the riptide. It can be a dangerous place for the eyes. When Paul wrote 1 Corinthians, he talked like we should live as if time is short and the Lord’s return could be soon (1 Corinthians 7:29-30). If Paul thought it was soon, what about our day? We’re 2,000 years closer to Christ’s coming than Paul was. But think about this: Everyone has an appointment with death and after that the judgment (Hebrews 9:27). The judgment is not for the believers’ sins but for those who refused to repent and trust in Christ. They will face Christ at the Great White Throne Judgment (Revelation 20:12-15), but we will still have to give an account for how we lived in this life (Romans 14:12, 1 Corinthians 5:10). The Apostle John once wrote that we should remain in fellowship with Christ so that on the day of His return, we can face Him courageously and not shrink back in shame (1 John 2:28). John would never have written that if he wasn’t concerned it could happen. Jesus said that He’s going to come when nobody’s expecting Him, which is why He said we must always be ready (Matthew 24:44). We don’t know the day or the hour, so we must keep watch (Matthew 24:42) because it’ll be as swift as when the lightning becomes visible in the east and appears in the west. 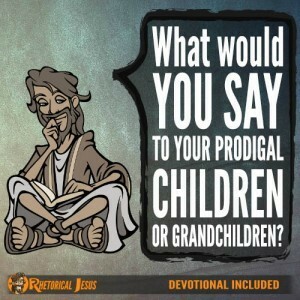 The question of this devotional is something I must ask myself, too. 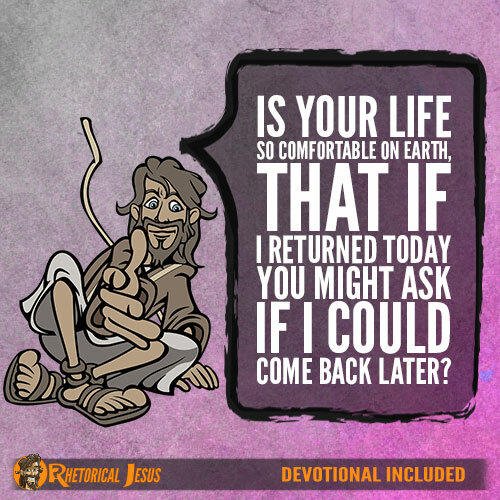 Is my life so comfortable on Earth that if Jesus returned today I might ask if He could come back later? Father, I know I get attached to the things of this world, but only Your kingdom is eternal. Help me to live in eager expectation of Your swift and sure arrival, which could be at any moment. In the name of this coming King of kings and Lord of lords I pray.